Weddings, civil partnerships and renewal of vows come in all shapes and sizes with many variations of couples, families, venues, styles and budgets. 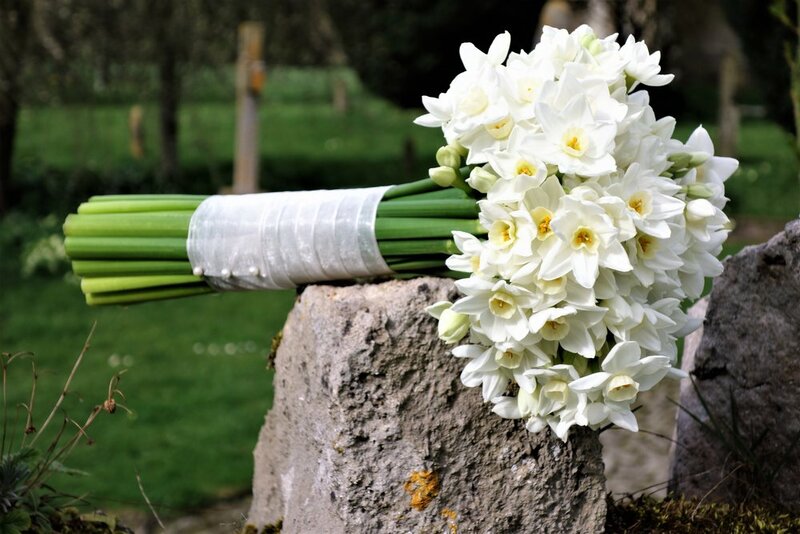 Whatever your wedding style, flowers are a great way to make your day even more special and personal to you. When it comes to creating the perfect wedding flowers I can offer a service which includes helping you to plan the overall style, detail of the design and practicalities of the day. Scroll down to see just some of the weddings we’ve been a part of and get in touch for a no obligation chat. An abundance of flowers created a relaxed, country feel at this beautiful wedding in the Pewsey Vale. A high impact bridal bouquet was a particular highlight of the day with peonies, memory lane roses, hypericum, limonium and lychins to add just the right colours, shapes and textures. 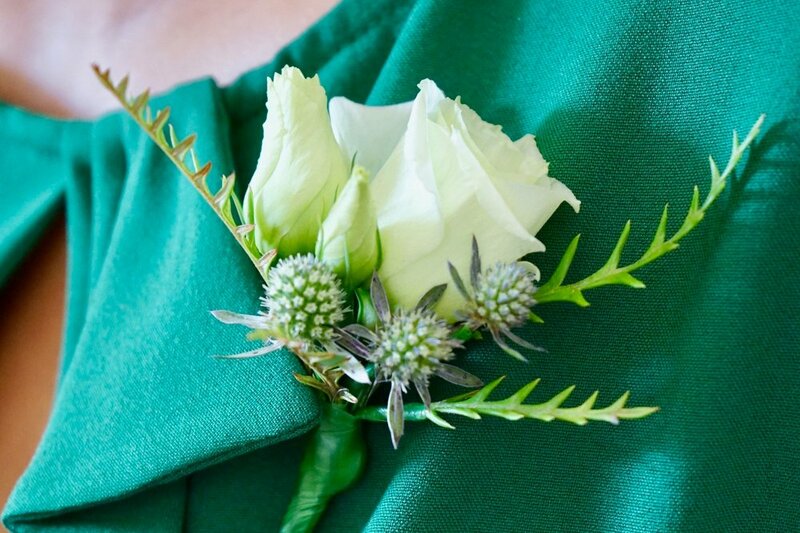 Eryngiums were also added to the bouquet and button holes to reflect the groom’s Scottish roots. The wedding was a real family affair and the brides' sisters helped to design their own unique floral crowns. These stood the test of the day including some vigorous ceilidh dancing! For the reception, simple jars and containers were used with small bunches of seasonal flowers and foliage. Lots of these bunches made their way home as a keep sake for lots of the wedding guests. For this wedding the bride wanted to focus on her favourite flower - the sunflower - to create a fun, festival vibe! We teamed the boldness of the sunflowers with some equally bold but contrasting blues by using agapanthus and eryngium blue dynamite. Plenty of texture and detail was also added with tanacetum, grevillea ivanhoe, rosemary, craspedia and aster. The bride and bridesmaids carried hand tied posies with plenty of wow factor while the buttonholes and corsages had something slightly different for each wearer. The mother of the bride - a talented garden designer - wore a corsage with the material gathered from her garden to create a highly textured and personalised piece. The table decorations for the reception used low glass dishes with bio degradable foam and sand to support the stems of a deeply textured and striking arrangement for each table. The bride and groom were able to use these as gifts after the celebration as they were easily transported and long lasting. This autumnal wedding against the impressive backdrop of a large Victorian gothic church had lots of bold notes and a beautiful colour scheme of oranges and blues. The bridal bouquets had chrysanthemums as their focal points with lots of texture added with different types of foliage as well as eryngium, berries, roses and astrantia. The groom’s buttonhole was a mini version of the bride’s bouquet, finished with a textured tape for a natural feel.